After nearly 10 years of teaching primarily at-risk youth at inner-city high schools, I had an “Ah-ha moment” compelling me to abandon my tenured position. The realization was that the “Hot” Cheetos and Pepsi imbibed by many of my students for breakfast, or lunch, or both, was not providing the sustenance students require for their success. Regardless of how dedicated I was to supporting students, both they and I were up against a fortress of unhealthy food choices, reinforced by a lack of culinary and nutrition education. As a result, teachers and administrators faced the daily routine of otherwise great students caught in the physical and psychological maze of unhealthful nourishment. I am currently using the breadth of my experience–academically, professionally, and personally–to address and alter this cycle. I endeavor to create and support viable, systems-based programs at the crossroads of education, nutrition, and civic engagement for young adults. Cook With What You Have is a Portland (OR)-based business working with farmers and eaters, teaching cooking classes, developing recipes and partnering with CSA farms, markets, non-profits and businesses to make cooking delicious, locally-sourced meals an accessible, daily joy. Cook With What You Have offers The Seasonal Recipe Collection, a deep resource for simple and flexible every-day dishes. Katherine is an Emeritus Board Member of Slow Food USA. 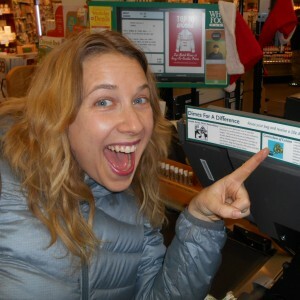 She previously served as a Slow Food chapter leader in Portland, OR. Katherine is a Sister on the Planet Ambassador for Oxfam America. She was the recipient of a Thomas J. Watson Fellowship that allowed her to study food and culture in rural Mexico and Italy for a year in 1996. 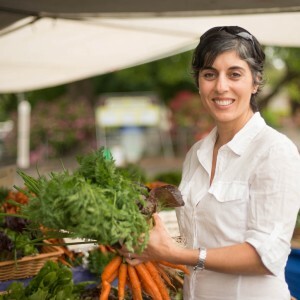 Katherine is active in the food community in Portland and speaks about creating vibrant food communities and more broadly about food systems and the links between cooking and the future of our planet. 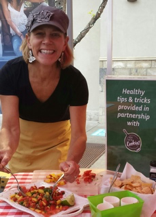 Tera’s passion for learning and cooking began at a young age in Fort Collins, Colorado. Her childhood memories in the kitchen were influenced by her large family of mixed Japanese and European heritage. At an early age, Tera spent her free time trying to replicate her favorite comfort foods, consisting mostly of anything involving noodles. After graduating from college at Colorado State University with a focus in Communications, Tera moved to the Pacific Northwest to be closer to the outdoors and the culinary bounty that the rain offers. After a five-year stint working in Marketing and Sales, she refocused and went to culinary school to pursue her original love of food. A graduate from Portland’s own Oregon Culinary Institute, she received high honors and was offered a position as OCI’s Director of Community Relations. During her time at OCI, she developed a passion for teaching, the sustainable food scene and local small businesses. She has worked or volunteered at Veritable Quandary, The Side Yard Farm, The Portland Kitchen, and is excited to join the Curriculum of Cuisine. In her free time she enjoys fly-fishing, cooking at home, Portland Trail Blazers and developing her small marketing business. Madeline’s passion lies in the art and science of baking. She took her first pastry class at the tender age of twelve, and was hooked. By the age of fourteen, she was hired by Marda Stoliar at the International School of Baking–where she assisted classes at local high schools and a community college. After graduating from Chapman University with a Business Administration and Art History degree, Madeline headed right back to the kitchen. She enrolled at the French Pastry School in Chicago. 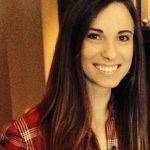 Having worked in several restaurants, hotels, and small food business in Chicago, Madeline brought her unique pastry and business background to the PR world at Watershed Communications. She then became the Pastry Lead at New American, as well as the Production Manager for an artisan confectionery company, Bees & Beans. 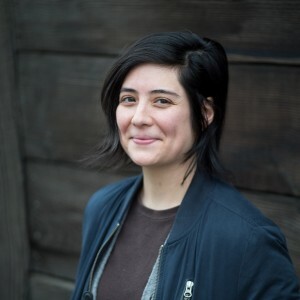 Wanting to combine her pastry, business, and media relation skills to help small food businesses, today, Madeline serves as a recipe developer, production manager, and instructor for several businesses in Portland. Madeline hopes to inspire people to connect with their food and be creative. When not in the kitchen, she can be found doing any outdoor activities the Pacific Northwest offers. Her personal mission is to inspire health and creativity in the kitchen, and to prove that anyone can prepare delicious food…and have fun doing it! A personal hobby of hers is to be a student of global cuisine wherever she and her husband are travelling. She’s had the chance to study in Thailand, New Orleans, Hawaii, and Portland. Erin is the Mama to two active food-loving boys (ages 7 and 5), a passionate culinary chameleon, fitness fanatic, and she LOVES to makeover, transform, and create recipes and freestyle food ideas into delicious creations. Her first ‘magical food creation memory’ was making rice crispy treats in Michigan with her Mom, Sandy, when she was eight years old. Piper is a partner at Grand Central Bakery in Seattle and Portland, a regional family of 10 cafes and artisan bakeries. Through her 22-year career at the bakery she has driven Grand Central Bakery’s commitment to working with local ingredients and responsible farmers and ranchers. Piper received training in pastry at the National Baking Institute, where she completed the Viennoiserie program. She is a member of The Bread Bakers Guild of America, Slow Food, and a frequent speaker at good food movement events, most recently at The NY Times “The Future of Food in Portland,” part of the Time’s “Look West” series. An avid baker, cook and good food provisioner, she is the author of “The Grand Central Baking Book” and is Board Chair of the national nonprofit Chefs Collaborative, a network of 12,000 chefs and food professionals dedicated to sustainable food becoming second nature.